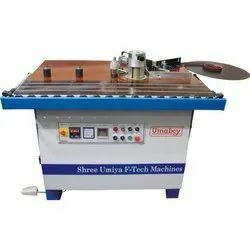 Prominent & Leading Manufacturer from Ahmedabad, we offer u1006 manual edge bander. Glue pot capacity 2 kgs. Approx. Variable feed speed of edge banding. Swivel bar roller support for big width work piece. Aluminum glue pot with covering heat insulation material. Foot and micro cutting system for edge cutting.